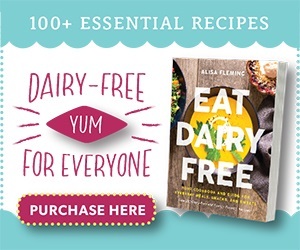 You are at:Home»Ask Alisa»Ask Alisa: Is lactose-free milk a good option for dairy sensitivities? Q: Anonymous – Can I drink lactose-free milk if I have a dairy allergy? I have been lactose intolerant for quite a while, but I am considering cutting out all dairy because I am not sure if my body handles any dairy products well. 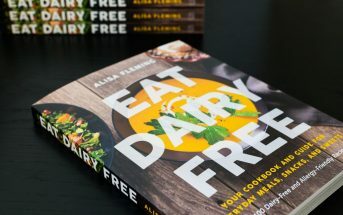 A: Alisa – Without knowing your true condition, this is a difficult question to respond to, so I will answer with some information on who lactose-free milk is appropriate for, what it is, and what to look for when purchasing. For those who are simply lactose intolerant, lactose-free milk can be a good option (see below for a further discussion on lactose-free milk). However, if you have an allergy or sensitivity to milk proteins, you will need to seek out dairy-free milk alternatives exclusively. Lactose-free milk in your local grocer’s dairy section is still cow’s milk and will be rich in milk proteins. Lactose-free milk is never a good option for those with milk allergies or a sensitivity to milk protein. What is lactose-free milk? The only material difference between regular cow’s milk and lactose-free milk is that it has undergone a process where lactase is added (lactase is what digests lactose in our systems) to “pre-digest” and eliminate the lactose from the milk. There really is no difference except in the sugars, no lactose. The rest of the composition remains the same. If you do opt to seek out lactose-free milk, it is important to keep a few things in mind. Some dairy products, including milk, are simply lactose-reduced. 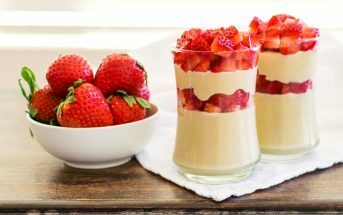 This may work for many with lactose “maldigestion,” but those with full blown intolerance may be sensitive to even small quantities of lactose. If concerned, look for the lactose-free label specifically. Also, always look for organic lactose-free milk. Most brands are still at risk for added hormones, but there are a few brands of organic lactose-free milk popping up on store shelves. Finally, I still get frequent reports from people who are very lactose intolerant, and claim that lactose-free milk still causes problems for them. I am not sure if these individuals may have an underlying sensitivity to milk protein, but wanted to note this since I do see this comment frequently. Of course, with all of the advances in dairy-free milk alternatives, many people with lactose intolerance are actually choosing them over lactose-free milk. 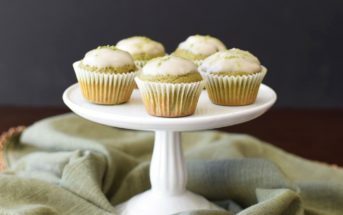 There are more types, flavors and consistencies to select from, which can add depth to baked goods or even heighten that ordinary bowl of breakfast cereal. 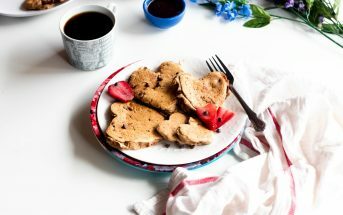 For dozens of milk alternative brand options to choose from (including vegan, gluten-free, and soy-free choices), see the No Dairy Product Lists. Again, lactose-free milk is not appropriate for infants, children, or adults who are allergic or sensitive to the proteins in milk. It also isn’t suitable for most people who forsake dairy for general health and disease prevention, religious, and/or political reasons. It is still a heavily dairy-based product. I have a twisted bowl syndrome, can not consume any dairy products, can I use lactose free milk? What do you suggest for a milk substitute ?What brings on a attack and ow can I avoid it? What food is dangerous for my condition? I am going on holidays in 3 weeks, what Meds should I take with me? Hi Elisabeth, I’m not familiar with your condition so I can’t advise you medically on what you can and can’t eat. If you were told to avoid all dairy products, then lactose-free milk would not be safe. 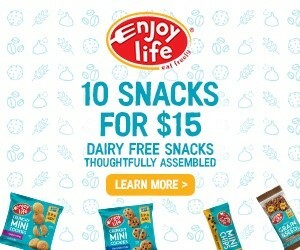 If you need to be dairy-free, head to our newbie page to gain your bearings – http://www.godairyfree.org/dairy-free-information/new-to-the-dairy-free-diet-start-here – and then enjoy the site. There is tons of information. Hi . At 3 months we found my son was having issues with his milk based formula. We took him to a naturalist and she said he had a sensitivity to milk. We switched him to a lactose free formula. (this formula still has milk proteins in it) He has done wonderful on it. It is now time to take him off of the formula. I am not sure whether to choose lactose free milk or almond milk? Drs would like him to have the fat that whole milk has to offer which he would still get from the lactaid. I am just concerned if he can tolerate the lactaid..having dairy issues in the future such as ear infections, runny nose etc. associated since this is still considered a dairy based product. We are avoiding cheese etc. as well. Will he still get the nutrients he needs at this age with only almond milk? Thank you! Hi Katie, I really can’t address nutrient issues for your little one or what would supply enough for him specifically. Only your pediatrician can legally address that. I can say that many children thrive on a dairy-free diet – cow’s milk isn’t even given to kids in many cultures. It’s also important to consider the whole diet, not a single food. Many moms simply replace the dairy with water, and provide calories through nutrient-rich food instead! This is just a question I have been wondering but can lactose free milk cause you to gain weight? I just recently found out I am lactose intolerant. I was having major stomach issues and my gastro dr. did a lactose intolerance blood test. I hated it coming back that I was lactose intolerant because I love icecream!! My question is,,I know there are products out there that are lactose free,,,like Lactaid milk, and Breyer’s icecream, but I have been told to watch out for casein and milk protein. I’m not allergic just lactose intolerant. Why do they put casein or milk protein in these products if they are lactose free when a lot of people can’t handle the casein or milk protein. I tried taking the lactaid chewable tablets before I eat icecream but I don’t think it really helped. Those tablets have something called chroprovoidine (sp) in them and somebody told me that isn’t good either. I don’t know who to believe or what to believe or eat. I’m a small person and losing weight is one thing I cant afford to do. Maybe you can help me out on the casein and the milk protein thing. Diana, we have received hundreds of reports from people who say their acne vanished when they went dairy-free, but resurfaces if they consume milk. Maybe off topic but I have read that my dermatitis may be inflamed by consuming dairy, i’m interested in cutting it out however I love muesli for breakfast, is there any decently tasting milk that wouldn’t be considered dairy? Cameron, see the product reviews here on the site, as well as the recipes and info in the book! It’s all here. There are also the no dairy product lists available through this site that include dozens of brands. I am lactose intolerant and I recently purchased an almond milk based icecream by So Delicious. After eating the icecream my stomache started feeling a little gassy. Although my symptoms weren’t as bad as they were when I ate regular icecream, I was confused as to why I had any symptoms at all. Sounds like something in the ice cream didn’t agree with you Claire. A lot of things can cause stomach upset and it varies from person to person.